Your unique credenza will be made in a small workshop by expert craftsmen. It consists of walnut and aluminum. 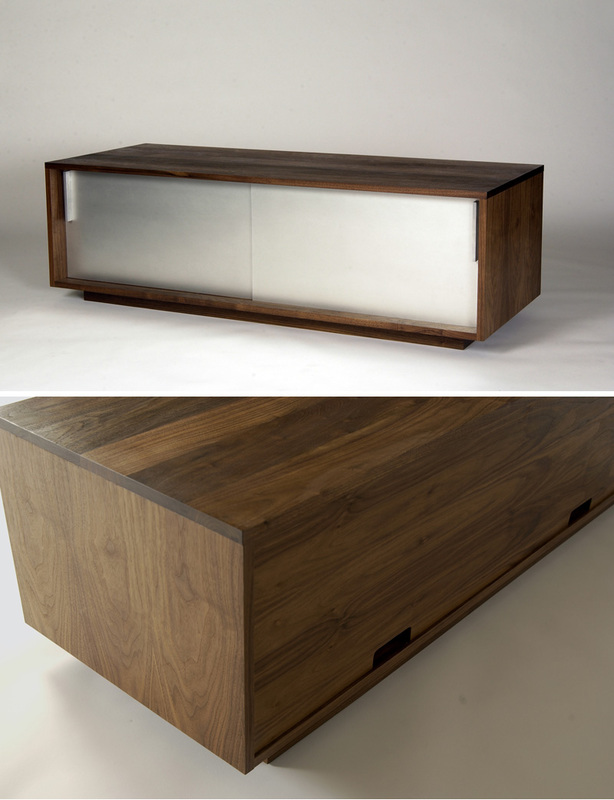 Each credenza is custom made. Due to this peculiar uniqueness, you must be willing to accept understandable variations of the natural variations in wood color and grain. Entirely crafted by hand, this credenza combines a sophisticated sensibility with skilled craftsmanship. With it's clean modern lines, it embodies elegance and straigtforward functionality. This truly exquisite cabinet is considered to be both a work of art and a piece of fine furniture. Visually pleasing and integral to the high-end space it will help to define. FREE DELIVERY WITHIN THE US! Custom made, usually ships in 12-16 weeks.